Defy gravity with this ultra-lifting and moisturizing neck cream, formulated to tighten and smooth the delicate skin around the neck and décolleté for a more sculpted and youthful look. Create a lifting effect for the neck and enhance the appearance of elasticity with this high performance neck cream. 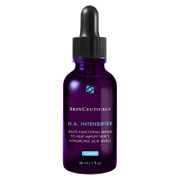 Formulated with a proprietary blend of fruit stem cells infused into a Vitamin C, resveratrol rich grapeseed formula. The STEM CELLULAR™ Lifting Neck Cream reduces the appearance of fine lines and wrinkles while providing powerful antioxidant protection. 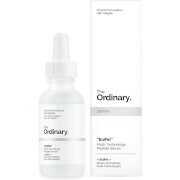 Peptides and algae give a smoother and tighter feel, to give a more youthful, defined looking neck area. Creates tighter looking skin with a proprietary blend of apple, grape and lemon fruit stem cells which have been infused into organic resveratrol-rich grapeseed. 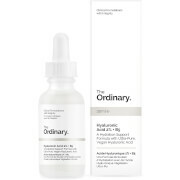 Improves appearance of skin texture and suppleness with hyaluronic acid. Improves skin luminosity with Vitamin C.
Provides a lifting effect while reducing the appearance of wrinkles thanks to a blend of peptides and algae for a visibly more refined & toned definition on the neck line, profile & décolleté. Improves the appearance of skin’s elasticity with rosehip, linseed and borage oils leaving skin looking tighter, more supple and softer. Apply to cleansed neck and décolleté by gently massaging in an upward sweeping motion toward chin and jawline, morning and night. Organic Juices Of Pyrus Malus (Organic Apple Juice)*, Vitis Vinifera (Organic Grape Juice)*, Aloe Barbadensis (Organic Aloe Juice)*, Vegetable Glycerin, Ethylhexyl Palmitate (Plant Derived), Helianthus Annus (Organic Sunflower Seed Oil)*, Glyceryl Stearate (Plant Derived), Diheptyl Succinate (Plant Derived), Sucrose Stearate (Plant Derived), Stearyl Alcohol, Sucrose Polystearate (Plant Derived), Cetearyl Olivate (Plant Derived), Sorbitan Olivate (Plant Derived), Caprylyl Glycol, Palmitoyl Tripeptide-5, Acetyl Hexapeptide-8, Malus Sylvestris (Apple Buds), Vitis Vinifera (Grape Buds), Borago Officinalis (Organic Borage Seed Oil)*, Linum Usitatissimum (Organic Linseed Oil)*, Rosa Canina (Organic Rosehip Fruit Oil)*, Camellia Sinensis (Organic White Tea Leaf Extract)*, Chamomilla Recutita (Organic Chamomile Extract)*, Lavandula Angustifolia (Organic Lavender Extract)*, Arnica Montana (Organic Arnica Flower Extract)*, Vitis Vinifera (Grapeseed Oil), Lonicera Caprifolium (Honeysuckle Extract), Algae Extract, Squalane (Plant Derived), Magnesium Ascorbyl Phosphate (Vitamin C), Panthenol (Vitamin B5),Tocopherol (Vitamin E), Carya Ovata (Hickory Extract), Stearic Acid (Plant Derived), Ethylhexylglycerin (Plant Derived), Pullulan, Allantoin, Xanthan Gum, Sodium Phytate (Plant Derived), Menthyl Lactate, Capryloyl Glycerin/Sebacicacid Copolymer, Isomalt (Plant Derived), Sodium Hydroxide, Litsea Cubeba (May Chang) And Cinnamomum Camphora (Ho Wood) Essential Oils.